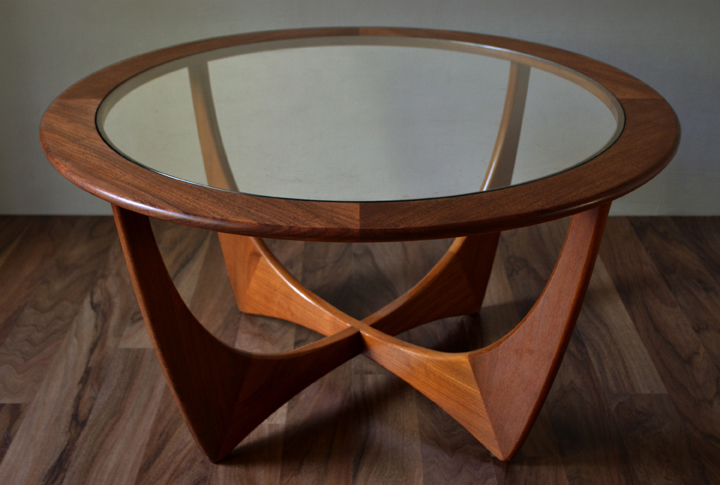 A classic G-Plan ‘Astro’ circular coffee table. 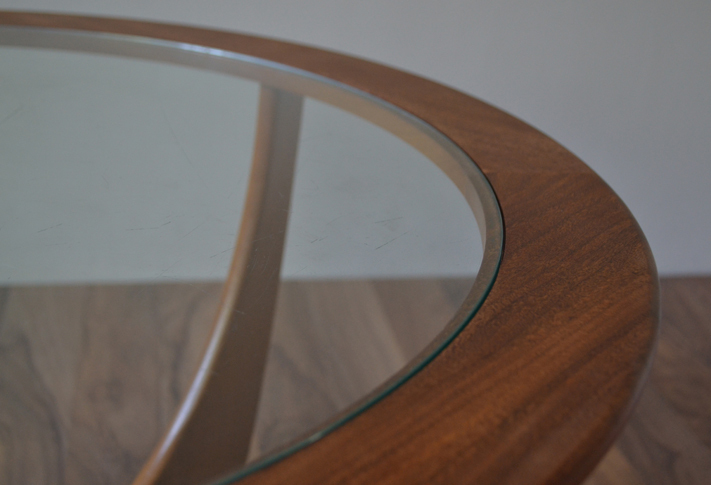 This retro number is one of the most collectable G-Plan coffee tables and originates from around 1969. Designed by V B Wilkins. 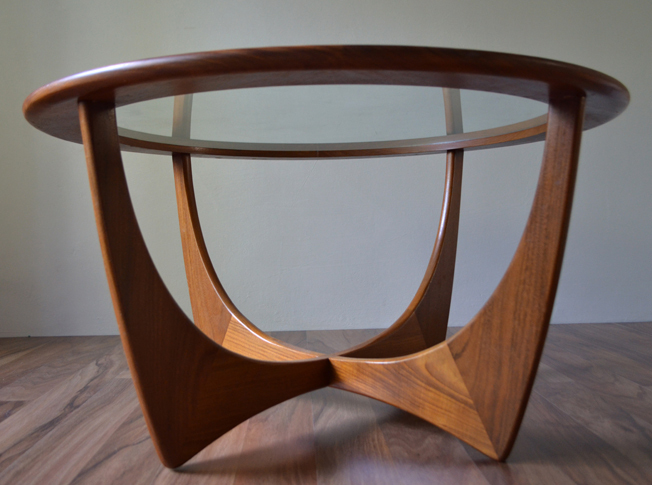 Very well built piece, with a solid teak finish and glass insert. It is in very good condition, considering its age. 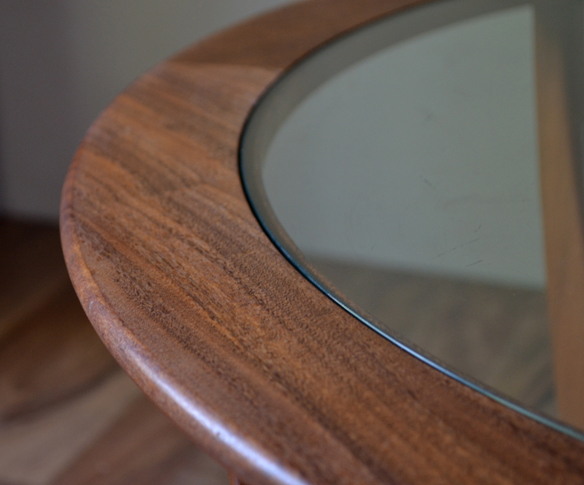 Fantastic retro coffee table.